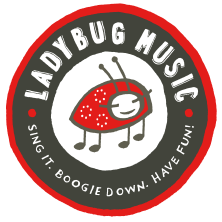 LADYBUG MUSIC™ - Locations & Times - Register here! Locations & Times - Register here! WE OFFER MORNING, AFTERNOON AND WEEKEND FAMILY MUSIC CLASSES. 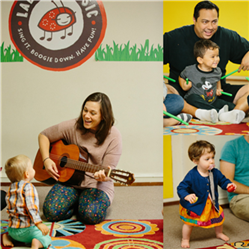 LADYBUG MUSIC CLASSES ARE MIXED AGE AND ARE PERFECT FOR BABIES, TODDLERS & PRESCHOOLERS. SIGN UP FOR FREE DEMO CLASS HERE! INTERESTED IN A PRIVATE CLASS IN YOUR HOME? <Select> <Any> PACIFIC PALISADES - Kehillat Israel SANTA MONICA - The Pump Station SHERMAN OAKS - Sherman Oaks Dance Academy STUDIO CITY - Ladybug HQ - NEW LOCATION! STUDIO CITY - Ladybug HQ - NEW LOCATION!